Bill Traylor was an “outsider artist.” He learned to draw in much the same way that I learned to paint: by trial and error. He taught himself to draw. Somehow I felt an immediate kinship to Bill. In his day, Bill’s art sold for about 10- to 25-cents and was panned by art critics as “primitive.” Today Bill’s art is collected by top art connoisseurs, and is on display in museums all over the world, selling for thousands of dollars. I love these kinds of stories where the “outsider” gets the glory. Bill had an inborn – I believe God-given – talent that came forth in time of great need. That spoke to me, too. It supported my belief that all people are born equipped with everything needed to overcome great obstacles in life and do great things. I think it’s important for children to be exposed to a variety of historical figures. Black history is not limited to the one or two people that are so often written and published about. In addition to civil rights, African Americans have made great contributions to science and technology, arts and literature, sports and entertainment, education and business. 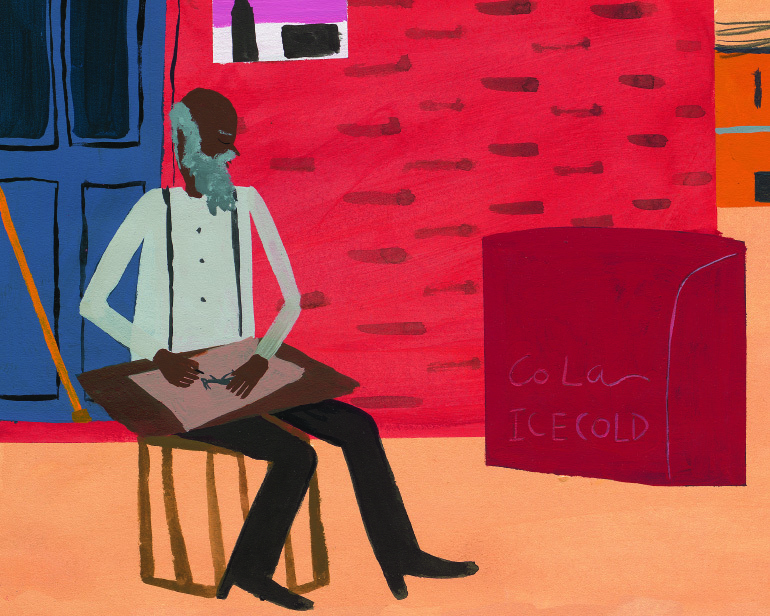 Bill Traylor was an artist, but he was also a journalist, though he may not have realized it. And a historian, too.Through his art, he documented an important part of American history that will be appreciated for many hundreds of years to come.